The Big Idea: Keeping mosquitoes away is as easy as 1, 2, 3! Rosita’s mommy helps her put bug spray on for mosquito prevention. 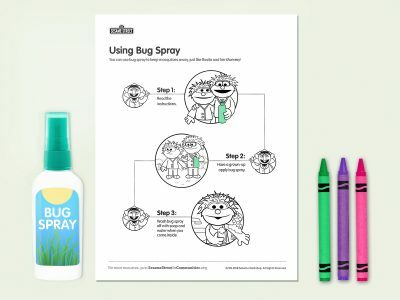 Have kids color the following sheet and talk about how they can follow these tips, too!